Cloud is here to stay, but CIO’s know that the transition to cloud computing won’t happen overnight. Responsible CIO’s and IT managers will want to ensure that their applications and data in the cloud are secure, that migrations will generate cost savings, and above all that business operations will continue uninterrupted during the migration. Your application users should not know or care if their application is hosted locally or in the cloud. To achieve this, you should look at the cloud as a model – not a place – where, with thoughtful planning, you have the power to ensure right balance of agility and control for each application. This means you’ll need an action plan for application deployment across a mixed, hybrid environment, a plan that ensures application usage is seamless for users and you as an IT administrator have control (as covered in my last post). A well-designed hybrid cloud provides seamless, more secure access to applications to your users – no matter where those applications are. How do you accomplish that? To start with, you need a more secure, high-speed interconnect between your data center and the applications you host in the cloud. Microsoft provides several solutions, including virtual private network (VPN) solutions as well as a dedicated line solution (Microsoft ExpressRoute). 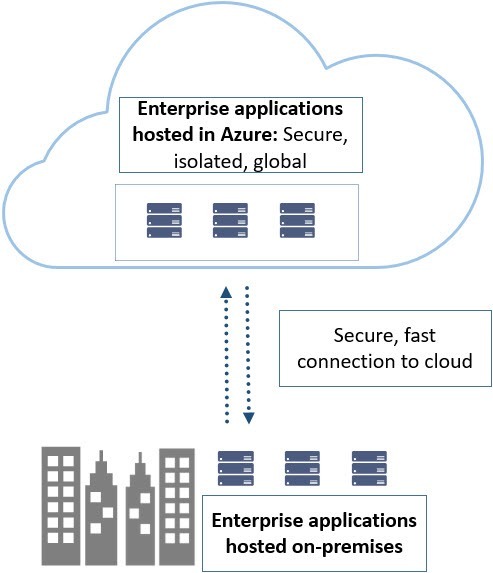 With ExpressRoute, your data center is linked to Azure via a private, low-latency connection that bypasses the public internet. Both of these technologies enable IT to set up their DNS addressing so that applications in the cloud continue to appear as part of your local IT data center. What about identity? You’ll want your users to access applications without having to re-enter credentials again – of course. Single sign-on (SSO), a capability provided by Azure Active Directory, is the final piece in your virtual data center. AAD allows you to synchronize identities with your on-premises Active Directory; and thus your users log on to the (virtual) network once and are transparently provided access to corporate applications without regard to their hosting location. Even before you begin migrating applications, you can take advantage of the hybrid cloud. A cloud-based marketing application can easily and securely send leads back to an on-premises database – while fully taking advantage of the scale, mobile access, and global reach of the cloud. Think as well about using the agility that public cloud offers in hybrid management with Azure’s integrated Operations Management Suite, including inexpensive data center-to-cloud backup, and cloud-based disaster recovery. You can also take advantage of cloud services to quickly connect your applications to external commerce systems via the industry standard X.12 Electronic Data Interchange protocol and others. Emerging technologies provide new and exciting capabilities to the hybrid cloud. Azure Stack, currently in Technical Preview, brings many of the capabilities of the public cloud to your data center. 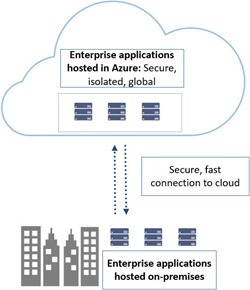 Enterprise IT will then be able to adopt a “write-once, deploy-anywhere” approach to their applications, selecting the public, private, or hosted cloud that makes sense for each application or service based on business rules and technical requirements. In addition, new application packaging technologies – called containers – make it possible to easily burst from the on-premises data center by adding new instances in the public cloud when additional capacity is necessary. Microsoft deeply believes in the importance of hybrid cloud, and in fact, as a hybrid cloud user itself, utilizes all of the technologies and approaches we’ve mentioned above in our own IT environment. With a sound hybrid cloud strategy, you can take advantage of all the exciting cloud technologies now available while preserving your investment in your data centers – and you can migrate applications and data at your own pace. Interested in hybrid cloud? 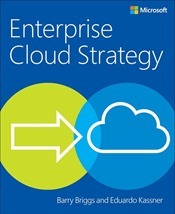 Check out Enterprise Cloud Strategy, by former Microsoft IT CTO and technology thought leader Barry Briggs and Eduardo Kassner, the executive in charge of Microsoft’s field Cloud Solutions Architects. It’s free!